John Myles Sharpe met his New Zealand born wife, Anna Sharpe, in his home town of Mornington, Australia. 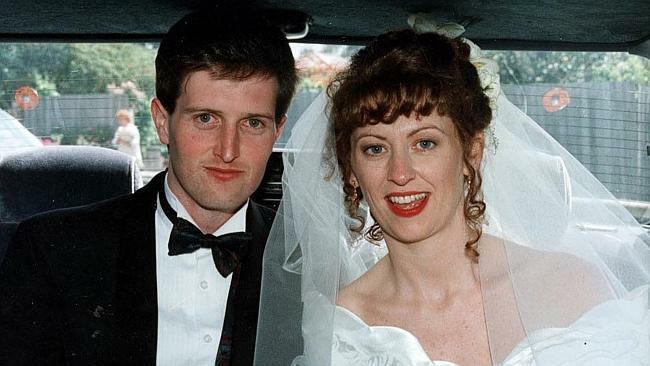 They had both worked at Commonwealth Bank and were married within a year. John and Anna on their wedding day. Anna knew early on that she had made a mistake: “She told me mother after the honeymoon ‘I think I’ve made a mistake.’ She just carried on with the mistake,” said her brother. 1 She said there was no passion or love. Nevertheless, the couple went on to have a little girl, Gracie, who was born with hip dysplasia. As a result, Gracie had to go through numerous surgeries and medications. Due to pain, she often cried out and found it difficult to sleep. The couple had been married for almost ten years in 2003 and Gracie was now 15-months-old. The same year, John went to a local sports store and purchased a high powered spear gun which should be used for fishing. In November of the same year, Anna fell pregnant. John was infuriated, although he never showed it. He would later confess that Gracie was enough of a burden on him and that he didn’t want to have another child. He thought back to the spear gun. He had never had an interest in fishing beforehand so why did he purchase it? He practised shooting in his back garden. 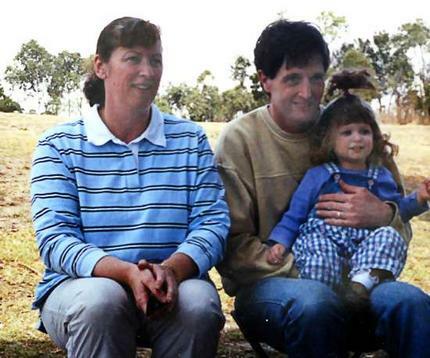 On Monday the 21st of March, 2004, the family went to a family picnic to celebrate a nephew’s birthday. Nobody noticed that anything was untoward with John; he appeared to be the doting husband. The following morning, Anna took Gracie to nursery and made plans to meet up with a friend in a couple of days. 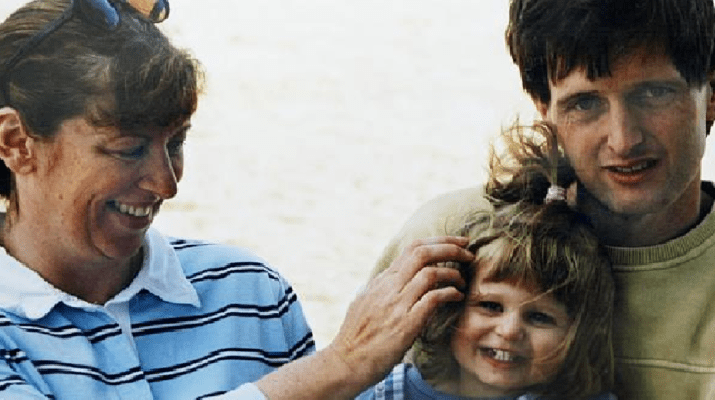 The last interaction she had with another person other than her husband was the following day, when she called her private health care provider and enquired about adding their unborn baby to their health cover. On Tuesday night, Anna went to bed as usual. John, however, had something much more sinister in mind. He went to the garage and retrieved the spear gun he had purchased months earlier. He came back to the bedroom and shot his pregnant wife in the left temple. Not dying instantly like he had expected, he shot her once again before covering her bloody body with a blanket. He then went downstairs to sleep on the sofa. The following morning, John took Gracie to nursery. He created an elaborate lie that Anna had ran off with another man and said she would be back to pick up Gracie. John realised he needed to make Gracie disappear to solidify his lies. He returned to his wife’s body to remove the spears but they were lodged into her skull; he went to the same sports store and purchased more, bringing Gracie along with him. When John returned home, he buried his wife in their garden. On the evening of the 27th of March, John downed copious amounts of whisky before creeping into his disabled daughter’s bedroom, armed with the same spear gun he shot his wife with. As Gracie slept in her cot, John aimed at her head and pulled the trigger. The spear lodged in her skull but didn’t penetrate deep enough to kill her. The terrified toddler began to scream and cry. John rushed downstairs to retrieve more spears and shot her again. This too didn’t kill the defenceless little girl so John violently pulled the spear from his daughter’s head and shot her for a fourth time. He finally succeeding in killing her. John playing up to the media. 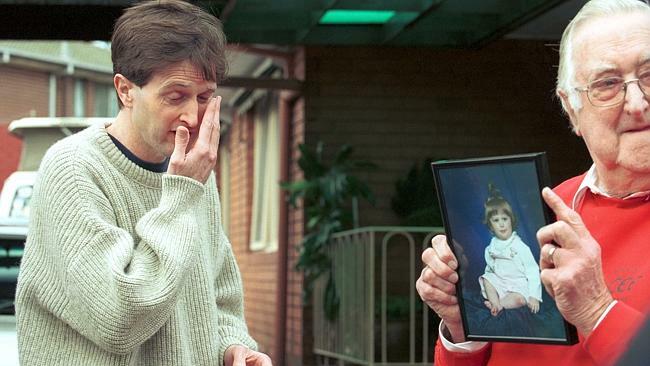 His father holds a photograph of Gracie, totally unaware of John’s guilt. In an attempt to keep his charade going, John used Anna’s ATM card at a bank in Chelsea and even emailed her mother in New Zealand, purporting to be her. “Please respect and understand my wish for privacy and take comfort in the fact that I’m about the enjoy life like I have never before,” one of the emails read. Eventually, his lies started to crumble all around him. Police had collected enough circumstantial evidence to charge him with murder. Some key pieces included a video of John visiting a Mornington toilet block where Anna’s ATM card and mobile phone were later discovered discarded. They also found that John had gotten rid of the mattress he killed Anna on and purchased a new one just two weeks after her disappearance. Police also found several scrawled notes in John’s handwriting disposed of in bins around Mornington. These notes detailed parts of his cover story and even back-up stories. An investigation of the house turned up a receipt for an electric chainsaw, tarpaulins and duct tape. 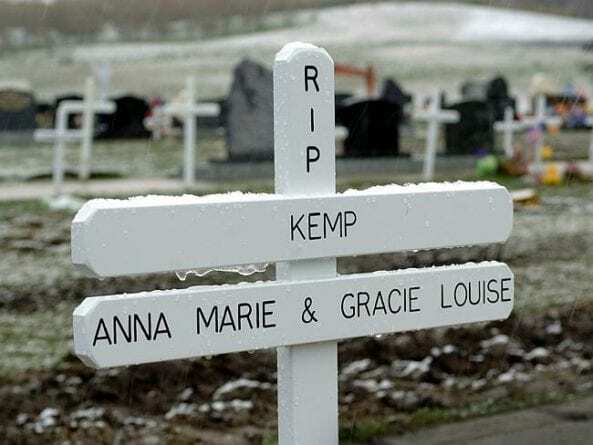 The smoking gun was when investigators uncovered blood of both Gracie and Anna inside the home. 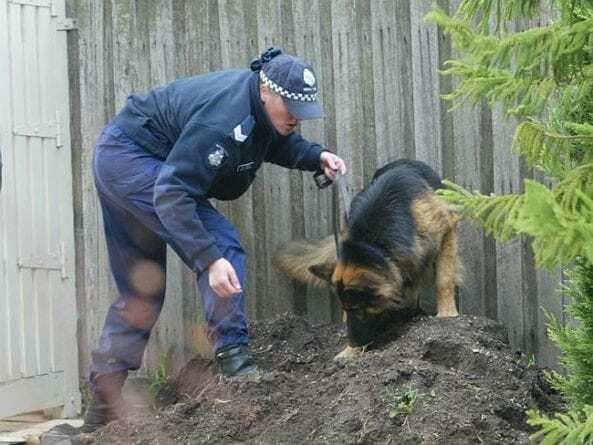 A police officer searching the Sharpe’s garden assisted by a sniffer dog. Credit: Trevor Pinder. Police arrested John and brought him to the station for questioning. At the end of the interview, John was told he was going to be charged with the two murders. 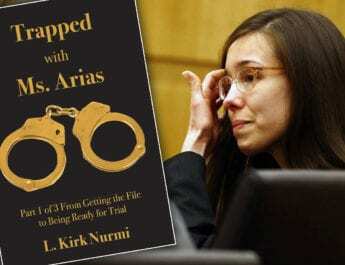 He eventually confessed to the gruesome murders and told police where he had disposed of their bodies. Did John really kill his wife because of their loveless marriage and his lack of desire for another child or was there a different motivation? 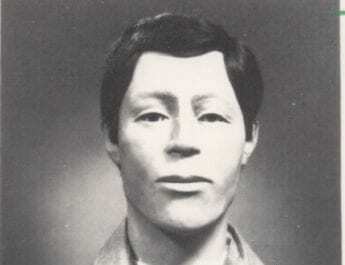 After pleading guilty to both murders, “The Mornington Monster” was sentenced to life imprisonment. He resides in protective custody due to the numerous threats on his life by fellow prisoners. God what a horrendous story. Well written author, well written. Such a sadistic man. 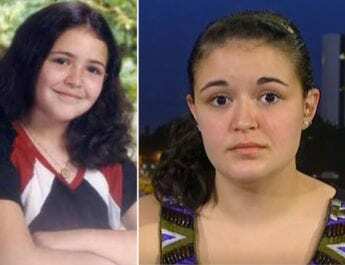 Is there any documentary on this case?